Technique: I think my favorite technique is paper piecing. 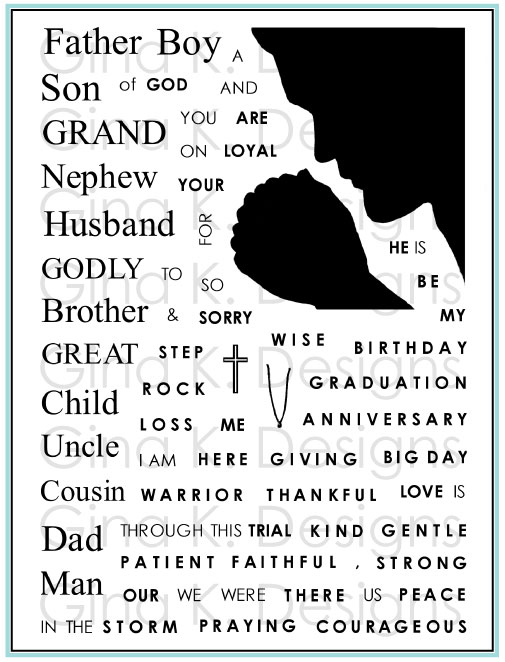 It is such a simple, easy and quick way to add color, different DP's and texture to a card. Gina K. set by Melanie - I love all of them! I think if I had to pick out a favorite, then it would have to be "Hand-in-Hand". I absolutely love the images and the sentiments are amazing and perfect. Both the images and sentiments are so versatile and fit every occasion. Gina K set from any illustrator. I love the Retro-Boutique set by Rupa - it is so beautiful and her images are so beautiful. Craft Supplies I can't live without: I love punches (I wish I had a room of punches :) My favorite are the Scallop Punch from SU! - You can create so many different things with this punch (not just for matting, from flowers, to cupcakes, to hearts - anything!) 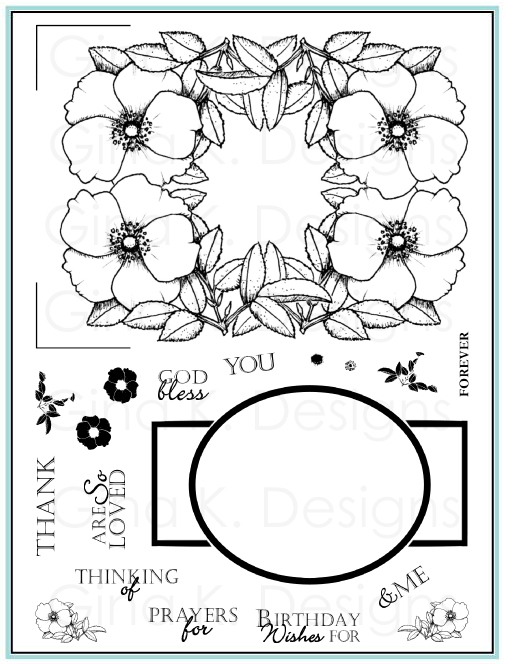 and my other favorite punch is the corner rounder :) It is such a simple little punch - but with it you can create a nice edging along with creating a scalloped border even if you don't have a scalloped punch - love that one supply can have more than one function. I have been stamping now for a little over 9 months and I love it - I often wonder, why didn't I do this earlier!! I started stamping after checking out some blogs online. I was just amazed at the creativity that was out there and totally fell in love with the beautiful world of paper-crafting. I get my inspiration from ... EVERYTHING! These days, everything I see - I think of it in terms of a card. From my children's clothing to the movies I watch - everything is inspiring. I was at the grocery store and I loved the way they stacked the oranges -- and I thought - wow, that would be a great idea for a card! I also love doing color and sketch challenges. Doing a challenge like that inspires me to create something that I might now have created by myself. A challenge like a sketch or color challenge gives you a boundary within which you have infinite creativity to design something that speaks to you. So within a finite value of the parameters of a challenge - you can touch infinity - that totally inspires me! I loved doing challenges so much that I created one of my own. I love watching movies while making cards and I always used to think: "wow, her dress would make such a pretty card" or "i love the lyrics in this movie - I want to make a card from it". This is how I got the idea for the Cinema Saturday Creative Challenge blog site - where every saturday we pick a movie from which we create a card, layout or altered project. I absolutely love making a card based on a theme from a movie - because you can use any sketch, colors, etc to help you bring that theme alive on the card. I love seeing what others have created from the same movie and talking about our favorite parts of the movie. In doing so, I have learned so much about my blogging friends where they have traveled, how they fell in love with, where they were the first time they saw that movie, what that movie evokes for them, what the songs of those movies makes their heart feel - its really been a wonderful way to get inspired and to get to know my fellow blogging friends. It is so wonderful to be inspired by the world around you. 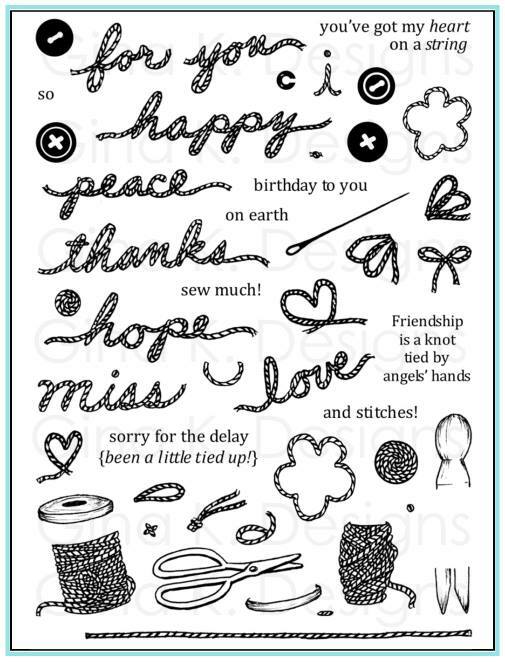 The most important things I’ve learned about stamping / cardmaking / scrapbooking is that it affords us an opportunity to touch the hearts of someone else. Just making a card to give to someone is like sharing a part of you with that person. Through card-making, I have learned that just the act of giving someone a card is a simple way of showing your love, your support and gives you a chance to show them how important they are in your lives. Through scrapbooking, I have learned that preserving a moment in time through different layouts and journaling allow you to preserve that precious memory and share that memory with the ones you love. Through blogging, I have gotten to meet a ton of amazing artists with amazing stories who share so much of themselves and inspire me in my creations. I love connecting with all of my blog friends and feel like the world is a smaller, cozier and homier place to live in because of all YOU wonderful friends! Some of my stamping/crafting accomplishments are being a Supernova on the PaperCraftPlanet design Team. What an amazing and wonderful opportunity to e part of this amazing network created by Susanna Boyd. I was so blown away to be part of this amazing design team - I wasn't sure if I was in the right place when I saw the names of the supernovas!! WOW! Through PaperCraftPlanet I have enjoyed meeting more amazing blogging friends! My cards have been featured on Card of the Week, Inspirational, on Tara Reed's Design blog and a few picked by Kristina Werner. I am always so grateful for such recognition and blog awards from my fellow bloggers because it always amazes me that people actually come over to visit me :) The most wonderful part of blogging and crafting is that even though I live in a very small town in the heartland of the Midwest, I feel so connected with the whole world. When I’m not stamping, I’m probably chasing around my 4 year old son and almost 2 year old daughter. I love reading with them, painting, going for walks (when its not freezing here in Iowa), and love watching them discover the world around them. I also teach physiology at the University and give lectures on health care. 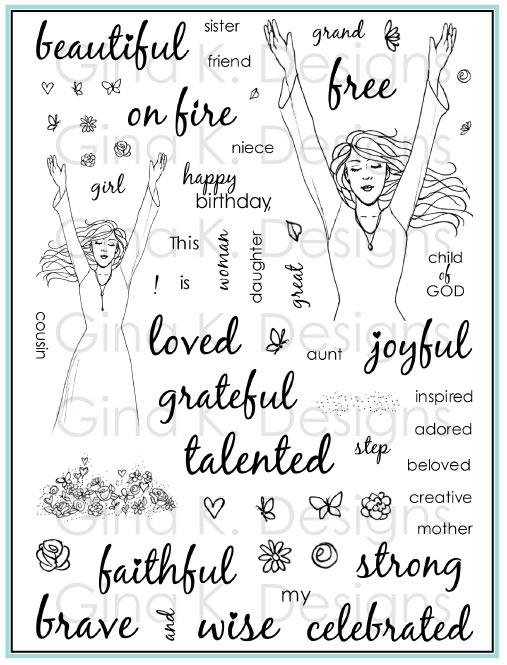 I love hanging out with my family and friends and laughing :) A perfect day would be lounging with my husband and kids, laughing and of course a little stamping too!! "I loved the phrase "Hand in hand, heart to heart" that Melanie had added to the "Hand-in-Hand" set and knew that I wanted to use the phrase using hearts. So I came up with this really simple card. I die cut my label shape and then cut the heart shape out of it's center. I stamped the sentiment on some vellum paper and adhered it to the back of the label and peeking out of the heart opening. On a scrap piece of white cardstock I stamped the two hands holding one another and coloured them in quite dark so they would show through the vellum. 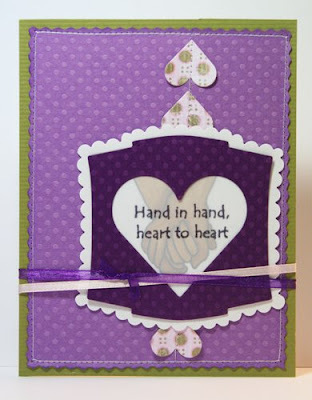 I centered and adhered the hands behind the heart opening and the created a hand-cut scalloped border for the label using my deco scalloped scissors. " Thank you Ally, the quote over heart hands this way just gvies me warm fuzzies! Here's a card with Gina's cuties from "Best Fishes". That juicy little fish pucker was begging to kiss somebody and I realized how funny it would look pressed up to the seahorse, his eyes are about to pop out of his head LOL! I cut a window out of my embossed (Dots and Spots) Berrylicious base (Paper Temptress) with my heart Nestabilities, inside I stamped them on a heart the same size and framed it up with a scalloped heart. I held my classic die in place so I could sponge on some Cool Caribbean ink for water and then colored them both with Copics. I added a little Crystal Lacquer to the lips and eyes and Copics Spica sparkle to their fins. Outside I stuck on some adhesive page pebbles and mirrors to complete the "under the sea" look. Inside I stamped the bubbles form the set and then drew a little heart bubble above covering them all with Crystal Lacquer. This inside would work just as well as a simpler "outside" of a card. Today I have a beautiful "The Best Things in Life" sample from Shannon! (sigh, isn't it lovely...?) I love this classic script font I used for "memories" in this set, it's perfect for all your "pretty cards" and pages and makes you think of all things past you want to remember. 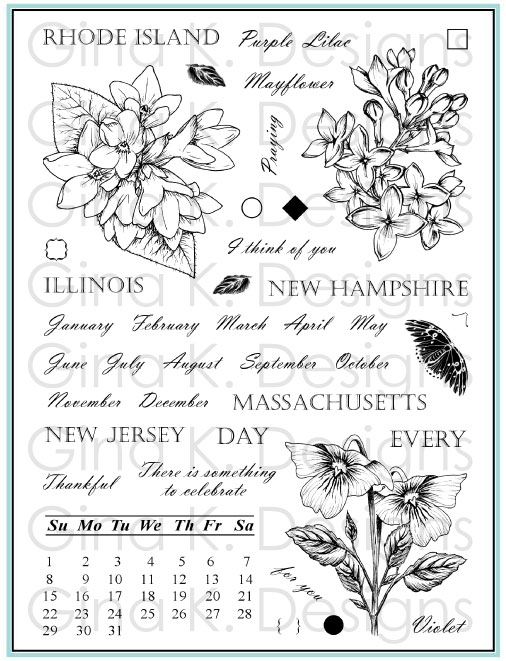 The thick and thin lines echo the large and small details of Gina's "Take Flight" set, as it will all your other realistic, nature or vintage stamp images. These larger greetings are a design element in themselves, balancing out the large blue butterflies, and the way she set it off here with these colored to match rhinestones is divine!! And a little more about the very talented Shannon! Colors/color combo -- Blues, usually the darker and richer the better. Type of project to make that’s not a card? -- I really enjoy making little boxes for stuff. 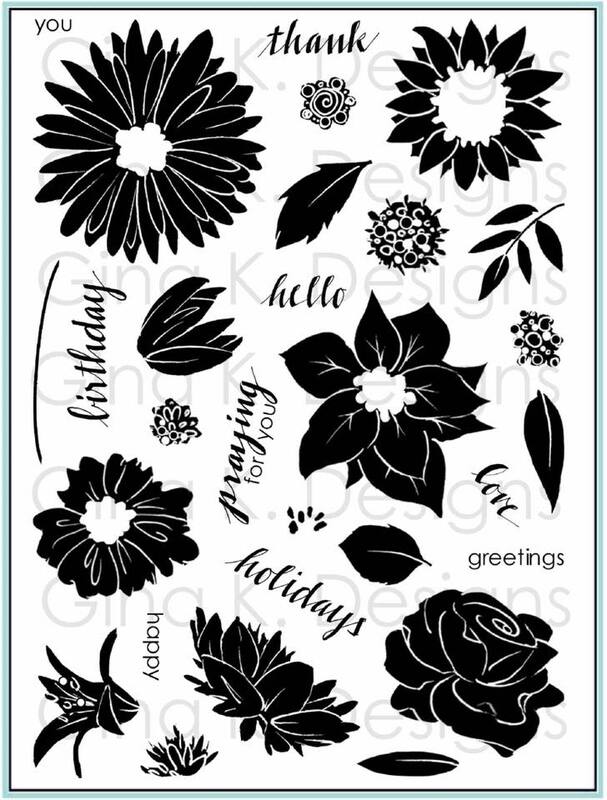 Gina K set by Melanie -- Oh, this is an easy one..."A Year of Flowers"
Gina K sets (from any illustrator) -- I'm sticking with "A Year of Flowers" I'm always reaching for it and have to sometimes "force" myself to use another set so that my other stamps don't get jealous. Craft supplies I can’t live without: -- My laptop!! It sits right here on my table with me. Clear 6" square quilting ruler, my Big Shot (LOVE it!!! ), Stamp-a-ma-jig because I can't stamp straight to save my life. I've been stamping for (how long) -- In total for about 8 years as a hobby making cards for friends and family for holidays and parties. Seriously since about August when I turned my hobby into a passion. 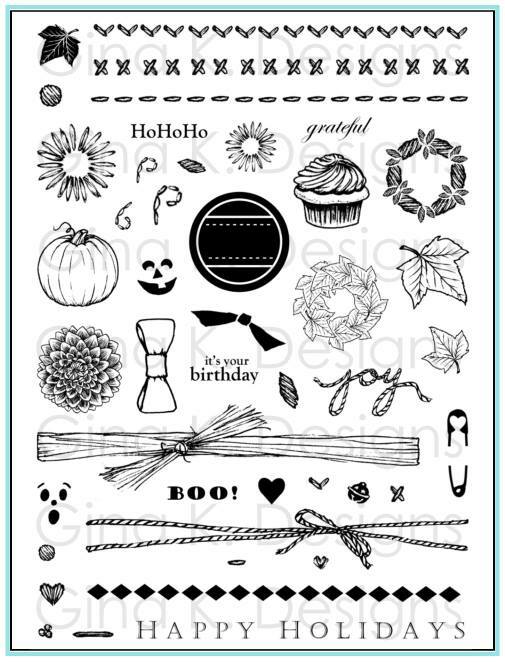 I got started stamping… -- I really can't remember....probably went to a Stampin' Up! party at my mom's. I get my inspiration from -- Melanie!!! hee hee.... I spend a lot of time blurfing, checking online galleries, art, magazines, everyday things I see in stores. Inspiration is all around us. Some of my stamping/crafting goals are -- My first goal was to be on a design team and I accomplished that only a few days into 2009. 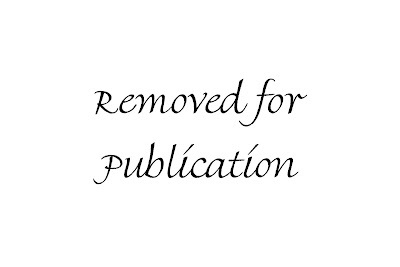 My other goal for this year is to get published. When I’m not stamping, I’m probably -- blurfing! LOL... Seriously, if I'm not in my studio I'm probably spending time relaxing with the cats in front of the TV. Turn an ordinary chocolate bar (well, as "ordinary" as chocolate can be, LOL!) into a luxurious gift with some HOT pink designer paper and luxurious ribbon and bling! Here I made a quick wrap for my big Carmello Chocolate bar with a 6x6 piece of Bittersweet Basic Grey paper and my "The Best Things in Life" greetings. (When I was finished, I couldn't help think how easily I could wrap 35 more bars with my pad LOL!) To me, this page in particular had a really magical, "candy vibe" to it! This pattern definitely had "a middle" with these cool shapes expanding outward, so I really wanted to have my greeting centered on that midpoint. First I placed my 3.5 " round acrylic block on top, see how the cross hairs go right down the center and line up with the pattern horizontally? Then I added my words. You can line up the bottom of your letters and/or the top with the block lines, sometimes you will have to use both on the same greetings when the size of your fonts are different. 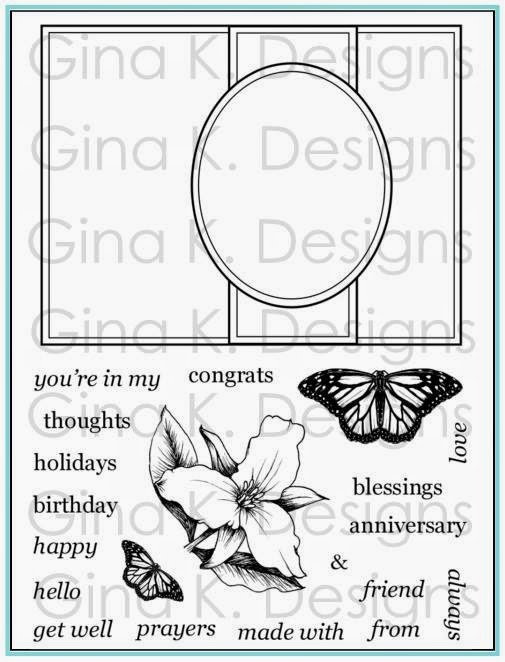 TIP: Always do your image placement on top of your DP when you are stamping on DP, it's not just about getting your greetings aligned and centered with the block sometimes, not just for centering like I did here, but you might need to work around a large or dark element in your print pattern that you don't want to cover, or where your word won't show up, KWIM? Then when you stamp , you'll flip the blockover, lining it up with the pattern the same way you did before. Pretty foolproof! Then I used my threading water punch down both sides (the little strips left over I'm actually going to save to glue on as a little trim on a card or something later), the scallops make it so much fancier and the silver foil peeping through the punched holes looks like bling all the way around! (I removed the Carmello paper wrap, it was separate, and left the foil in place) I had to take that a step further and add a couple adhesive rhinestones to the "o" centers in chocolate. Ribbon is SU! Chocolate Chip Satin. 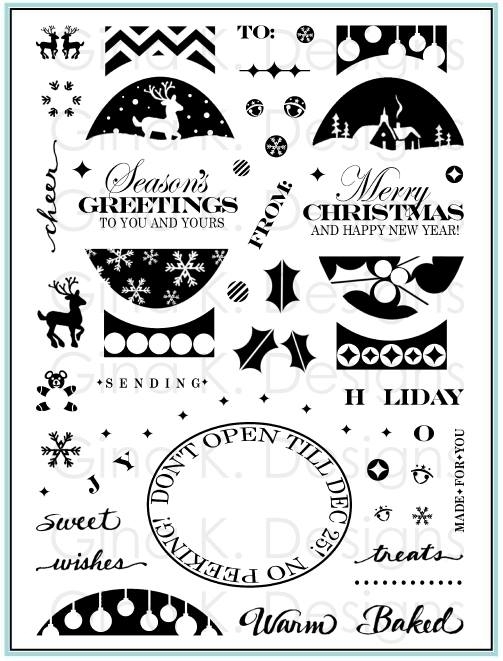 Simply apply adhesive magnetic tape across the refill pages and add the nested dies. Depending on the shape you may choose to orient the tape vertically instead of horizontally. Almost all sets fit two per side. Below you can see the two petite ovals on page, and the Labels One and Star set on the other. You may choose to have all your square sets on one page, with the Large and Small classic sets on one side of the page, and the scalloped sets on the back as I did (in case I need to pull that one page out to do a project I have them all, OR to have them on pages facing each other so you can see all for sets at a glance, I like that idea, too. (The nice thing about these is they are easy to change around if I decided I want that set in a different spot based on how much I use it or whatever, just pull them off one magnetic strip and place them on another, it's all the same! There are only a few exceptions to this: scalloped sets in a few cases overlap when they are nested together which makes it hard for them to have enough contact with the magnetic tape to grab on because they are sitting on another die. (I have only had this prblem with the squares and hearts, so not all sets overlap)) My solution was to go ahead and use two side of the sheets so I could split up the sets and have room in between each, I don't really mind that they aren't with their "partners" LOL! So what you see here is just two sets of scalloped squares, broken into four groups. It actually makes it a little easier to see the difference between the sizes and to pull of the one you need without upsetting the rest of the set, KWIM? The other exception is the long rectangle sets (there may be others, there are a few fancier long die sets I don't have) there is no way to put more than one set of these on a side, not diagonally, side to side, above or below, believe me, I tried! ;) I found I also needed to have more than one strip of magnetic tape to hold them as there was such a huge difference in size, the longest ones need something to grab near the top and bottom edge so I used three, the smaller ones are fine to just have the one going through the middle the way the other sets do. You may want to reinforce the other sets with more strips as well. One thing I will mention about this system that has both plus and minuses: The pages are very slick, the positives are that the magnetic tape is repositionable if you need to move it, AND if you decide you want to use that sheet to store stamps again instead you take the tape off, NO residue! i love that it's not going to ruin my pages, yeah! The downside is that if you don't replace you dies and close the binder up, the magnetic strip is going to want to grab onto the magnetic strip and dies across from it on the opposite page, KWIM? (but will still be stuck there when you open, you just pull it away and stick back onto the other page.) It can't though if you have the full set on there,(and you need to put your dies back anyway) the other alternative is to only use one side of a page for your dies so they aren't attracting each other. The binders hold 6 sheets, if you use both sides of every page. Doing so, you can hold 24 sets in this one binder that takes up 1.25" wide of counter space (9.5" high and 7" deep) I LOVE that! I chose to put them in an order than makes sense to me all the classic geometric shapes first, followed by the fancier ones and tags, these last in the order I use them most, so I know where to flip for the set I need (when I was using my CD cases I didn't always put them back in the same spot and would have to scan through the spine labels to find the one I wanted.) However I'm thinking i might use my SU! Round Tab punch to create some tabs for the tops of the pages labelling each for an additional reference, there is room on the top of the pages to do so...what do you think? I stamped the dress once onto white CS, so I could sketch in the apron to cut out and lay over the pieced image, and once onto Magnolia gingham DP and added some little cap sleeves with a pen. Red Stickles and adhesive rhinestones colored to match are accents for the shoes and bag, I colored the basket with Copics with the chisel tip end, dotting some little squares it to make it look like woven strips. The background DP is Basic Grey Sultry and the path is Summer Sun CS I Cuttlebugged with my mesh folder. "The journey begins" is from my "Hand-in-Hand" set. Inside I stamped "Wish Shoe Well!" from Rupa's set, perfect with the ruby slippers, dontcha think? I was going to put the ribbon on the outside, but decided to slide it into the inside, because having it at the top( although it was tying in the red and blue outfit at the bottom), was breaking up the illusion for me of the scene. The colors in the DP are so different from the outfit or yellow brick road, I know, but the flower print in the background was so perfectly, magically surreal, and while not perfectly coordinated, it really does give the impression of one of those vivid glorious Technicolor scenes from the movie, so I went with it! Cinema Saturday has a very nice PRIZE this week, a Gina K set of your choice valued at $19.95 or less, thank you Brooke and Sankari for offering that! 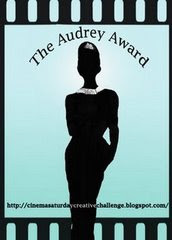 You have until this Thursday, 12 PM PST to link your creation on the Cinema Saturday Challenge blog, see more details there. But DON'T FORGET THE METAL like I did if you want to win LOL! Q&A with Sankari soon to come! You'll hear more about Sankari and Cinema Saturday in my Q&A I always share from my guest designers, but I wanted to give you a heads up now to go check out the challenges from weeks past (I know you'll find some of your favorite "classics" in there, there are definitelyy some I'd like to backtrack and do!) and give you a chance to play along this weekend! Now that our release is over, this is definitely the kind of challenge I want to make time for (while I munch on a bucket of popcorn LOL!) and have a DVD playing in the background! *Some are more like actual movie props, check out this one for "Fellowship of the Rings" challenge! Thud!! Thank you everyone who sent cards for Pat's card4kids effort this month! I am looking forward to hearing how many she actually ends up getting, I know with everyone's generosity she should far surpass her goal of 1000 Valentines! Althought the contest is now closed, 's not too late to send cards, though please read the Hand in hand link below! Congrats to Lori Tecler, she is the winner of the first "Hand in Hand, Month to Month" Contest, and she will receive my new "The Best Things in Life" set! You can see Lori's beautiful sample here Thanks for playing ,Lori, please send me your snail mail address! This month there may not have been enough time for you to play or linking this RAK contest with the other RAK request may have been confusing (I was just trying to allow you more chances to win for doing your good deed!) Next month’s will be posted soon, and I am opening up the prize offering to everyone who donates cards, whether they use the "Hand-in-Hand" set or not. (My sample for the request and intro to the organization will use it, however.) I think you will be really excited to play when you hear what it is! I can't believe the party starts in 10 minutes, I have been creating up to the minute (and had to get the kids fed tonight(where oh where is DH??) Let's go!!! 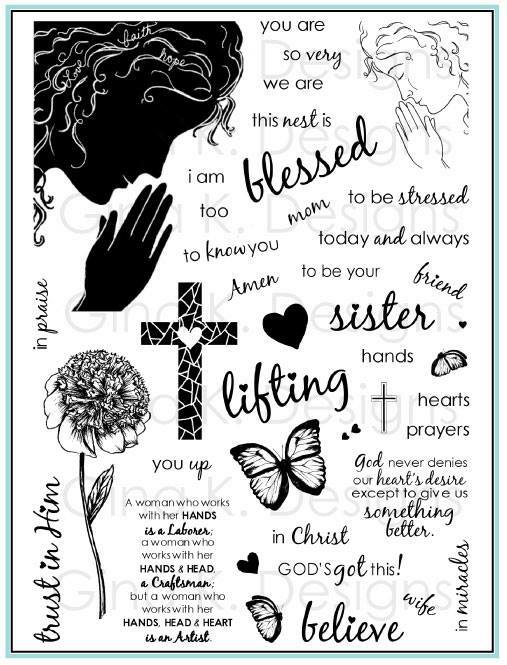 Sneak Peek Day 3: Sweetest Blessings, Tag Lines, and Digi-Paper! The cupcakes are just one print you get in this great digi-pack! One thing I did to modify it though for this particular design, the cupcakes on the paper all have WHITE icing when you print it out. This means you can tint the frostings to any colors you choose to match your holiday or color scheme, here I made an assortment of pink, blue and green. I kept the shading minimal since the red solid base is already colored in for you. BTW I had a lot of people requesting a zebra card during my blogaversary when I was coloring animals; the great thing about the zebra, he needs almost no coloring! ;) Maybe just a light gray for shadow on one side of all "his parts", and sometimes a little round circle of blush to the cheek (although I forgot it here) I love using him for a pop of black and white to punch up any other colors I'm using in my design. EDITED TO ADD: I am so sorry I left on our team's sneak peek list, just realized! Gina K, Cammie, Jessica, Theresa, Kurtis, Erika, Donna, Emily, Melanie, Cindy, and our Spotlight Designer this month Mary Anderson! 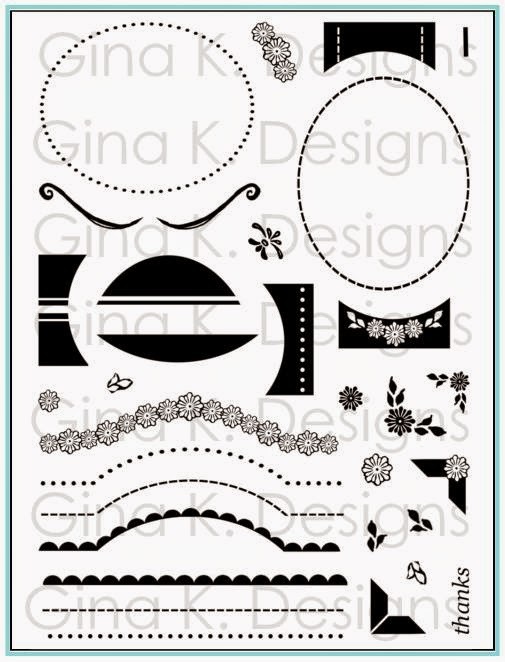 Sneak Peeks Day 1: "The Best Things in Life" and "Perfectly Polished"
The mixed fonts in this set create a fresh and fun look that will work with any designs you choose! Today I made a simple card using just three of the stamps from the set, "the best things in life" is one you can build on in many ways (you'll see more in our peeks and at our party!) I was able to line up all three at one time on my round acrylic block so I only had to stamp once, coloring directly onto the stamps with my SU! markers (Chocolate Chip, Regal Rose and Rose red ) to give it this colorful look (and give the words you really wan to accentuate that extra POP!) 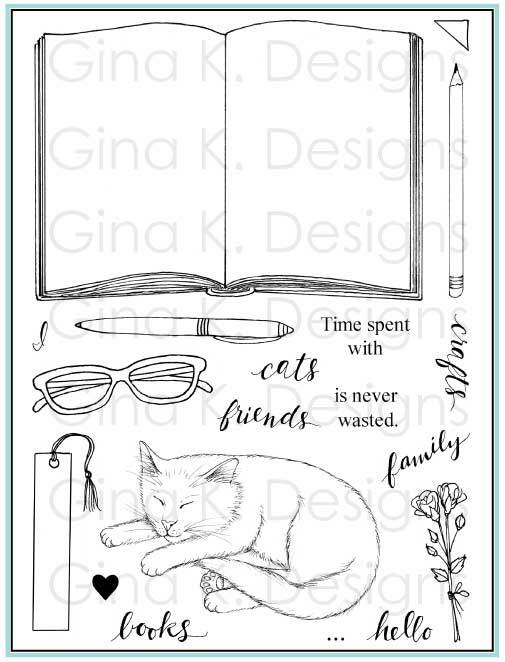 as well as match the beautiful new Basic Grey Bittersweet paper you can purchase Thursday night in Gina K's store with the rest of our release (oh, yeah, I'll be getting a couple more PACKS of this DP, if I can get my order in fast enough!) I found two beautiful cardstocks from Paper Temptress to compliment these Basic Grey prints : the base is Mountain Rose Glimmer (see how shimmery ??) and the yummy brown paper is Pop Tones Hot Fudge! Some heart Nestabilities, a few charms (from Joann's they came in a pack, average about 20 cents a piece!) I hung from silver brads, and SU! 5/8" grosgrain finish it off! Easy EASY! (I had a hard time deciding what to show today as my other sample is completely different, so please be sure to come check it out at the release party Thursday! This next card uses Rupa's newest "Perfectly Polished" set, super girly, super fun! This was definitely the hardest card I've ever tried to photograph (to really capture the cool reflection and not have something like my camera ofr cuttlebug in the pic LOL!!) I used Brushed Silver for my base and mat, and another fun Bittersweet print! I love how the dots play off those round mirrors! Image is stamped in Memento Tuxedo black, colored with Copics, and a little bit of Copic atyou Spica Silver for more shine. To dress it up a bit more, I punched out some large flourishes and accented them with adhesive metal dots to make it look like a fancy swivel easel, similar to the mirror image. and in the Spotlight's Mary Anderson! and two more new peeks here tomorrow! Like what you see here so far?? Let me know here!! :) (or tell me YOUR "best things in life", betcha I've got you covered, hee hee!) Don't forget you can win this set by donating cards, you have a couple more days, read this! While I never have regrets about what I'm doing, as a mom there are definitely times I question whether the amount of time I spend on it is right for the rest of my family, we are fortunate enough that I don't need to work. I never tire of what I am doing (quite the opposite, it energizes me!) but my kids grow up as fast as any and designing, stamping, and blogging does split my focus, and sometimes means sacrifice. My hope, though, is that as they get older their love affair with art will continue to grow as I am able to share more of my craft with them, as well as seeing that I am doing something I am so passionate about, and that they in turn will makes choices to follow their own dreams and pursue opportunities, art-related or not, which will make them both successful AND happy. The look on my son's face and his and their applause as I finished my presentation really said it all. (I'm so proud of my Jonathan, and knowing he is proud of me, too, means the world!) :) I want you to know your how greatly your comments and feedback touch me, too! They keep me going, creating and inspired to have soemthing new to share with you every day!